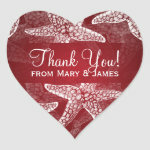 A Starfish Beach Wedding set includes personalized wedding invitations (4 sizes/layouts), rsvp cards, return address labels, "save the date" cards, wedding reception invitations, ceremony programs, table numbers, menu cards, thank you favor labels and many more. 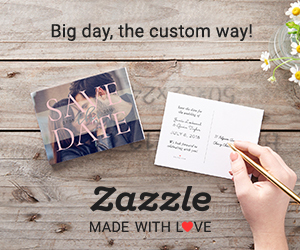 This wedding stationery set is available in 4 different colors: red, purple, blue/turquoise and lime green. 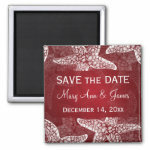 See all Starfish Beach Wedding products.